In 2014, when Virginia Gov. Terry McAuliffe signed executive order 23 establishing The New Virginia Economy Workforce Initiative, he also unveiled “The Patriot Pledge,” asking 10,000 businesses to commit to hiring more veterans. McAuliffe said then, and he says now, that the participation of Virginia’s veteran population in its labor force is important to the commonwealth’s economic prosperity. Citing economic forecasts, state leaders have said that about 500,000 jobs will be created in Virginia by 2022. In addition, 930,000 workers will be needed to replace Virginia’s retiring workers. Veterans could help fill these new jobs and replace workers who are retiring. During the next three years, an estimated 30,000 military personnel now serving in Virginia are expected to transition to civilian life. Thousands more who have served in Virginia at some time might be interested in returning and putting down roots, if employment opportunities exist. Those dynamics have set the stage for a potential windfall of new workers. State officials say the tide of veterans moving into the civilian workforce would not only help fill jobs but also entice businesses to locate in Virginia. “No matter how many tax incentives you give to a company, they’re not going to come to Virginia unless it has a good workforce,” says Andrew Schwartz, a veteran with 12 years’ service who served as a patrol leader in Ramadi, Iraq, with the 2nd Marine Division. 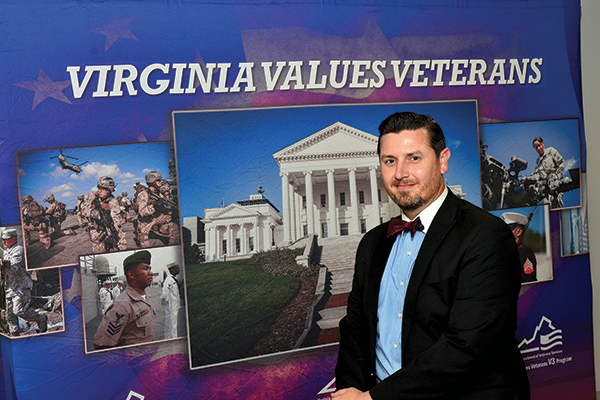 Schwartz heads the Virginia Values Veterans (V3) program. V3 is a free training and certification program for employers, designed to help them implement best practices in recruiting, hiring and retaining highly skilled veterans. John Newby, commissioner of the Virginia Department of Veterans Services, says many states have programs to help veterans transition into civilian life and find a job. Virginia has that, too, he says. From the outset, V3 was hailed as an economic development program, rather than a jobs program. V3 has experienced huge growth since its founding in 2012 when representatives from more than 50 companies came to its first conference. Today, about 300 companies have joined the effort, becoming V3-certified and hiring more than 16,000 veterans in recent years. Another 200 companies are undergoing V3 training. Schwartz says one of the biggest challenges facing transitioning veterans and prospective employers is communication. “You really are entering into a foreign culture when you pass from the military world to the civilian world,” he says. Schwartz explains that many service members do not elaborate on the full breadth of their training and experience. They mistakenly assume that employers already know those details. On the other side, Schwartz says, employers often trip over a service member’s military occupational specialty (MOS), seeing only the headline for the veteran’s job. He has a great personal story about that. Schwartz had been selected for officer training in the Marine Corps and was earning a bachelor’s degree in history at Old Dominion University. However, he suffered a shoulder injury during physical training and received a medical discharge. Schwartz was fortunate to have a network of friends and associates at Old Dominion, who helped him bridge the gap between military and civilian life. In the Marine Corps, he had built databases, performed a variety of administrative duties, been project manager on numerous tasks and served in a variety of leadership positions. But Schwartz says that if a prospective employer looked solely at his military occupational specialty, he might have had a turbulent transition into civilian life. His MOS: clarinet player. “It doesn’t take into account all the leadership training you gained in the military, all the collateral duties you had in the military, all the program management experience you had in the military,” Schwartz says. He, for example, led dozens of combat patrols in Ramadi, Iraq., His unit was deployed as an infantry platoon, performing perimeter and interior security, conducting combat patrols and serving as a quick-reaction force. “Every Marine a rifleman,” he notes, quoting the Marine slogan. Schwartz had no plans to be a professional musician after his military career, and that situation is not unique. Up to a third of service members moving into civilian jobs are not interested in continuing the jobs they handled in the military. They want to try something new. Schwartz, who today uses his musical talents to play the organ at his church, says that if he can move from being a Marine Corps musician to running a state government program, then he can help other veterans make successful transitions, too. Schwartz credits former Gov. Bob McDonnell, an Army veteran, with being a driving force behind the V3 program, starting in late 2010. He says McDonnell feared that, with the military downsizing and the economy still recovering from a crippling recession, transitioning veterans might face a hard time finding jobs in the civilian workforce. As part of his efforts, McDonnell charged the Virginia Department of Veterans Services with finding ways to head off the problem. Veterans Services reported back that, while the military had programs for service members moving into civilian life, there was no program on the other side of the equation for potential employers. “There was nothing to educate civilians — especially employers — on what a veteran is, what their culture is, what their mindset is, and how can they be an asset to [their] organizations,” Schwartz says. Hiring veterans is a nonpartisan issue, Schwartz emphasizes, pointing out that McDonnell, a Republican, and McAuliffe, a Democrat, both have been enthusiastic boosters of V3 and the Veterans Transition Assistance Program, which aids veterans as they leave the service. Virginia’s veterans have a strong appetite for work. “Virginia has the highest per-capita labor participation rate among veterans in the nation. Seventy percent of veterans are working or looking for work,” Schwartz says. During 2009-2014, Virginia added 80,000 veterans to its civilian workforce, a number that state officials say is higher than the combined results of all other states. Virginia has tried to make it easy for companies to become V3-certified and veteran friendly. V3 training is free, as is state certification and recertification. The training includes best practices for companies to use in recruiting, hiring and training veterans. These recommended procedures include having human resources staff identify how certain military skills might meet the company’s needs and reviewing job descriptions to ensure that they can be easily understood by veterans. Discussions about the biggest obstacles to hiring veterans also are part of the training for companies seeking the V3 certification. Among those obstacles is overcoming “veteran myths” regarding post traumatic stress disorder (PTSD). The U.S. Department of Veterans Affairs says that PTSD — which can occur after exposure to traumatic or stressful events — occurs in 11 to 20 percent of the veterans involved in Operation Iraqi Freedom and Operation Enduring Freedom (the global war on terrorism) and in 30 percent of Vietnam veterans. About 7 to 8 percent of the general population will have PTSD sometime in their lifetimes. “You are 17 times more likely to hire a civilian with PTSD than you are a veteran,” Schwartz says, referencing other findings. He says that one of the biggest values V3 provides to companies is providing a pipeline of veterans that they can consider. Last year, the Virginia General Assembly created a program under which companies with 300 or fewer employees can qualify for grants to assist in hiring and retaining veterans. Because funding is limited, the grants are available on a first-come, first-served basis. “It’s to help these small businesses with just a little bit more incentive to think outside the box and get them to hire veterans,” Schwartz says. V3 employers may apply for a $1,000 grant for each veteran that they have hired and retained for one year, up to a maximum of $10,000 per company per year. Veterans must have been out of the military for one year or less when hired and must be paid at least the prevailing average wage for the locality in which they work. Cape Henry Associates, a service-disabled, veteran-owned small business in Virginia Beach, was one of the first grant recipients. Cape Henry Associates provides the military with professional services, including training and manpower analysis. About 75 percent of its employees are veterans, with about 45 percent being disabled vets. The company, started in 2004 with three employees, now has about 150 employees, a company spokeswoman says. “We hire a lot of Navy subject-matter experts. People who have done it in the military are the best candidates for our services. It gives us a competitive edge because they are the experts in their field,” says Dawn Dikun, a Navy veteran, who is Cape Henry Associates’ human resources director. Dikun says some of the company’s employees retired from the military service on one day and reported for work at the company the next day. In March, Cape Henry Associates and five other companies were awarded a nearly $152 million contract to provide curriculum analyses and planning services for the Naval Education Training Command’s Naval Training Products and Services Program. Another company that has hired many veterans is Dynamic Aviation Group in Bridgewater. It has about 600 aviation employees worldwide, with veterans representing 20 to 25 percent of the workforce. Before becoming involved with V3, human resources director Joel Shank says, the company largely relied on word of mouth in recruiting veterans. “V3 helped us get more structure,” Shank says. Now the company has a more focused approach in finding and recruiting veterans. 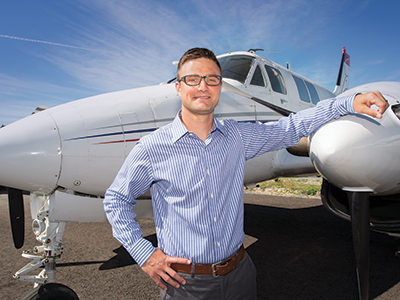 While small companies such as Cape Henry Associates and Dynamic Aviation are part of the V3 story, so are large companies such as Norfolk-based Sentara Healthcare. It has more than 28,000 employees and a network of 12 hospitals. Terry Bond, a Sentara recruitment specialist, is a 23-year Navy veteran, who worked in cryptology, the creation and deciphering of messages in secret code. Bond says that, like many veterans, he had to further his education (obtaining training in human resources) in making the move to civilian life. When he’s interviewing veterans, he also looks at the background of their spouses, who also might make good candidates for jobs at Sentara. 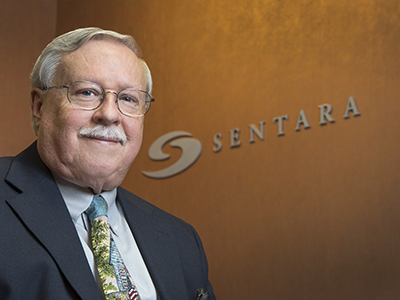 As a V3-certified company, Sentara has an opportunity to connect with a large number of veterans who eventually may find employment in the health-care field. At any given time, Bond says, Sentara has nearly a thousand jobs posted. Goochland County-based CarMax, the nation’s largest retailer of used cars, is a V3-certified company that also supports other veteran-oriented endeavors. In April, the company announced that it was pledging $1.4 million to provide career opportunities and community support to military veterans and their families. CarMax has committed: $100,000 to the Hiring Our Heroes effort; $300,000 during the next two years to The Mission Continues, a national nonprofit that helps veterans adjust to life at home through projects that impact their communities; and $1 million to KaBoom, a program funding playgrounds and other projects in military communities.